We can't help wonder what Tim Hogan and Rick LeGuerrier are really sorry about? 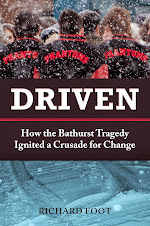 The fact that their film is being derailed or that they, in cahoots with the province of New Brunswick and CBC, didn't have the decency to contact the victims' parents to ask them what they thought of a film on the Boys in Red only three and a half years after the Bathurst tragedy. Now he wants to talk? Too little, too late. Hogan's apology is as insincere as one could expect from a film producer with his eyes on the big money - he'll do anything right now to get this film back on track - and his claims that he's "sensitive" to the situation in Bathurst are laughable. If he was sensitive, he - and employees of the different provincial government departments involved in this fiasco - would have contacted every one of the parents last year when this whole idea started percolating to find out that the majority of us are against it. He says he's from Bathurst. Well, that's debatable. Word is he grew up in British Columbia and only came back here a few years ago when the big money looked good with Film NB doling it out hand over fist to any film production company that qualified for a tax credit. And the Mayor's comments that this is a "happy story" are unbelievable. Happy? Has he completely lost it? Maybe there is a film part for him in the movie. One of the producers behind a planned movie about the Bathurst boys basketball team's recovery from a tragic van crash that left seven players and the coach's wife dead says he's sorry news of the project has upset some and is willing to meet with anyone with concerns. "We've always been very sensitive to the situation. 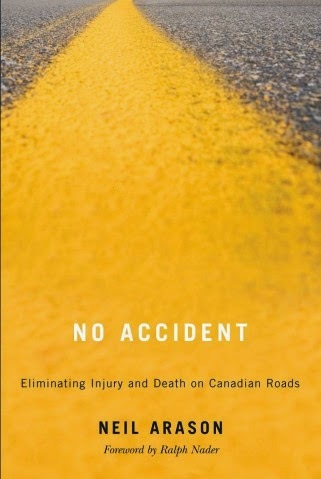 We are very aware that it is a sensitive story," said Tim Hogan, a producer with Fredericton-based Dream Street Pictures. Dream Street Pictures announced last week that it plans to begin filming a made-for-television movie, produced in conjunction with CBC, this fall. Tentatively titled The Phantoms after the team's nickname, the movie will be shot in Bathurst and Fredericton. Producers say the film will be about how the team, and the community, rallied after the tragedy, lifted community spirit, and the team went on to win the coveted provincial basketball title. But there is debate over the movie in the community. The superintendent of Bathurst's school district has been approached about allowing the production to use some school facilities. Isabelle Hains, whose 17-year-old son Daniel died in the crash, has made her opposition to the project known. She is asking the superintendent of the local school district not to participate in the film. She says the film comes too soon after the incident and amounts to exploiting from the tragedy. Hains says she isn't alone in her opposition. She says most of the parents of the victims - all those she could reach - share her opposition to the plan. "They said that they don't support the movie. It's too soon and they haven't been told about the movie, only what they've learned through the news." In a letter she sent Thursday to school superintendent John McLaughlin, Hains says she doesn't want the district to participate in a film that glorifies the deaths of the boys. "I am asking you, as a parent who lost a beloved son in the most terrible way, to reconsider your relationship with Dream Street Pictures and decline their offer to be part of this film." She said there's an inherent contradiction when the province can find $250,000 to provide a tax credit for the movie while the Department of Education doesn't have the money to pay for professional, licensed Class 2 bus drivers to transport students between extracurricular sports activities. Since the tragedy, Hains has lobbied tirelessly for safer vehicles, procedures and the use of professional drivers to transport students. McLaughlin, superintendent of the school district in the Bathurst area, said in a prepared statement that he has not decided whether to participate or allow filming in any of the district's schools. He said he is very proud of the 2009 junior varsity and senior varsity Bathurst High School basketball teams, noting that the players and coaches showed tremendous courage, determination and strength as they pursued and achieved great personal and communal goals. "At the same time, I am constantly aware of the terrible suffering from which this story emerged, and I am acutely sensitive to those whose grief continues, day after day," he said. "Whether our school district co-operates with the production company will depend upon the extent to which we believe this experience might further the healing process in our community." He said with that in mind, the district has begun contacting various individuals who were most affected and involved, and a decision will be made at a later date on whether or not to participate. Hogan said he understands that people are looking out for the best interests of the community. He said the film will focus on how the team and community bounced back the year after the 2008 accident. "It's a great story. I think when people see it they're going to understand. If there are concerns out there right now, we're willing to talk to people to address them," Hogan said Thursday. "That's my hometown. I'm very aware of the feelings and I would never do anything to make people feel bad in that town. Our true intention is to show Bathurst as an inspiring and uplifting community." Bathurst Mayor Stephen Brunet knows people in the community have a range of feelings over news of the film. "I don't think you can ever have enough time to deal with the loss. The loss of the team, those young people and the coach's wife, will be with those families forever." Brunet said he would like to see the movie filmed in Bathurst. "It's not about the tragedy. It's about this team that came together and they probably didn't have a top-notch team, but they certainly went a long way and proved they could do it. ... It's a real happy story."